Warfarin had been used as a successful grey control poison for the purpose of tree protection in areas where there are no red squirrels. 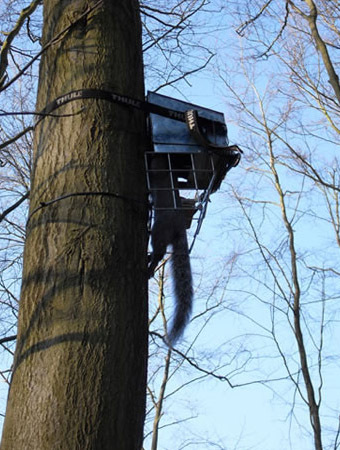 The EU license for the production and sale of Warfarin as a grey squirrel bait ended in September 2014. However, users who had stocks left could use it until September 2015. There is currently no other licensed poison for grey squirrel control. The Kania 2000 has been around a few years now but still remains one of the best lethal traps for controlling squirrels off the ground away from non target species, pets and humans. © 2007 Grey Squirrel Control. All Rights Reserverd.